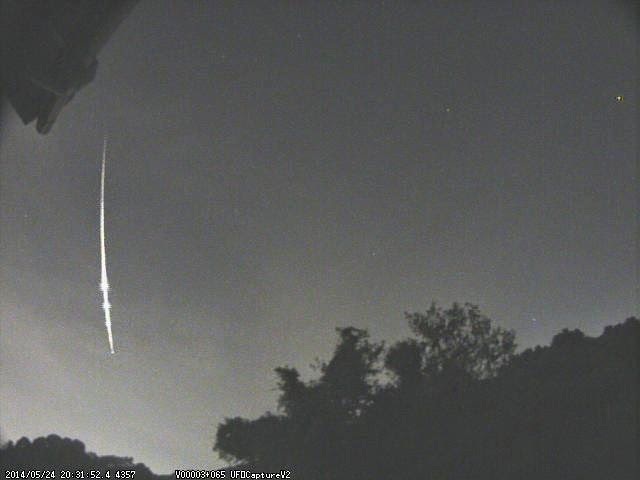 29MAY2014 Edward Joyce League City, TX 2110, CST 5 to 7 seconds First viewed in the 1100 position directly overhead. Traveled right to left (South). I was facing east. I saw a white object with a whitish, blue tail. There were scattered cumulus clouds that blocked the line is site for very brief periods. Bright as a car headlight. No fragmentation but there was a tail. I have viewed meteor showers on pitch black nights in the middle of the ocean. However, the brightness of this object was breathtaking. 29MAY2014 kimberly warren, TX est. 2100, CST,pm 4-6 seconds US /me facing SSE.. started straight up in the sky, fell SSE , almost all the way to the distant treeline.. white with a blue ora and long long tail..not a fireball color at all.. brighter than a full moon, and about 1/4 - 1/3 the size. no fragments, but a long tail it was beautiful! 29MAY2014 Glenda Yarbrough Houston, Texas 8:50 pm Central 20-25 seconds West Bright white, then blue Bright as the moon, then bright blue No I was driving, therefore I was unable to capture this moment. However, it was simply amazing. My 8 year old daughter has something to talk about in school today. 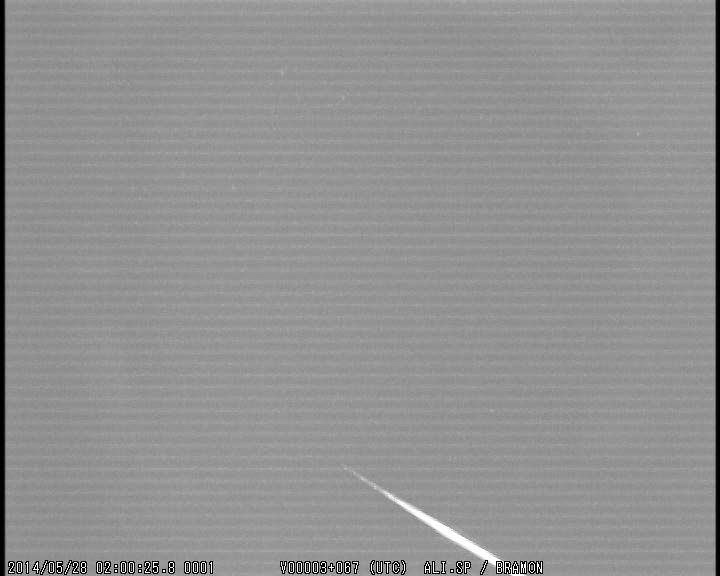 Houston, Texas arrived from google.com on "Latest Worldwide Meteor/Meteorite News: Breaking News- Houston, Texas / Lousiana Meteor with Fragmentation 7SEP2011" by searching for what was that meteor falling in houston tonight. 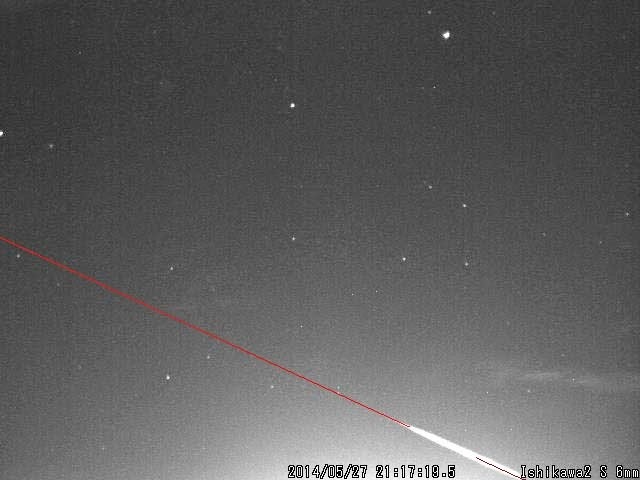 ALERT -Large Meteors, Fireballs and Bolides through 20MAY2014 25MAY2014 --- Some "Heavy Duty" activity expected! Meteorite Falls Likely to Occur!!! 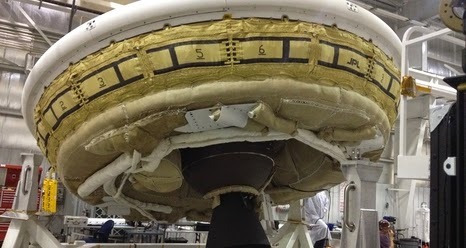 All Sky Cameras and Observers ready?! We are currently entering Moon-blind phase for ground-based telescope observation and detection. Updated 10MAY2014 to include through 25MAY2014 based on 1km or larger NEOs passing within our safety zone; expect debris to go undetected. 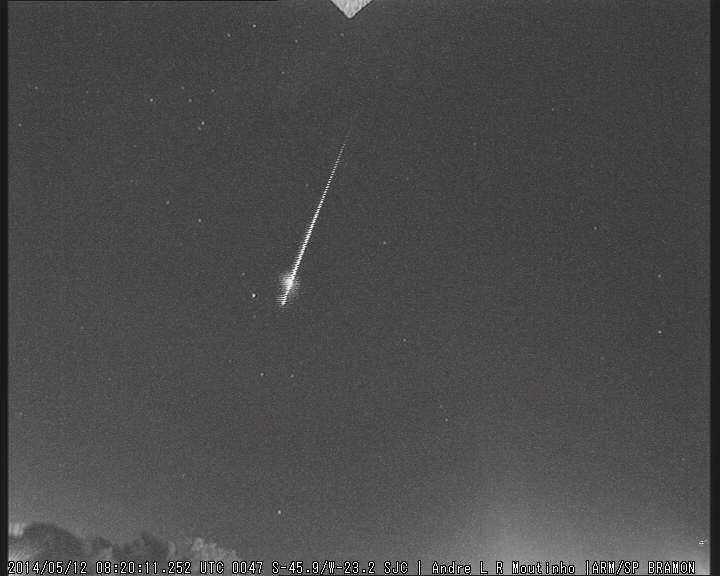 Breaking News: Meteorite Falls Likely to Occur - Meteor Outbursts Pending!! !